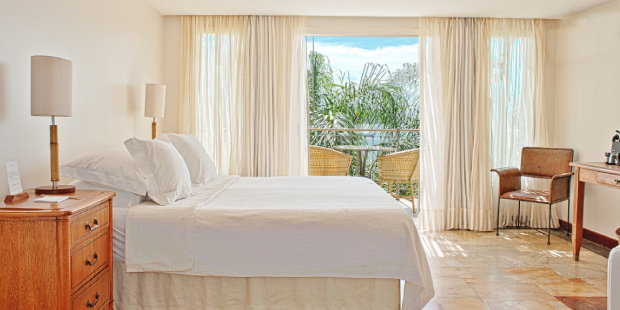 The Deluxe category apartments have a private balcony with a stunning sea view. An atmosphere with Mediterranean style, allied to the abundant natural light, makes this space an invitation to rest and to the deceleration of time. In this category the apartments vary between 30 and 40m²; also with amenities to compliment your stay. All rooms feature different architecture and decor so you can enjoy an exclusive experience. The images shown do not always represent the chosen room.